A multi-unit concept's long term success depends almost entirely on how accurately it can project its unique brand across a network of locations. 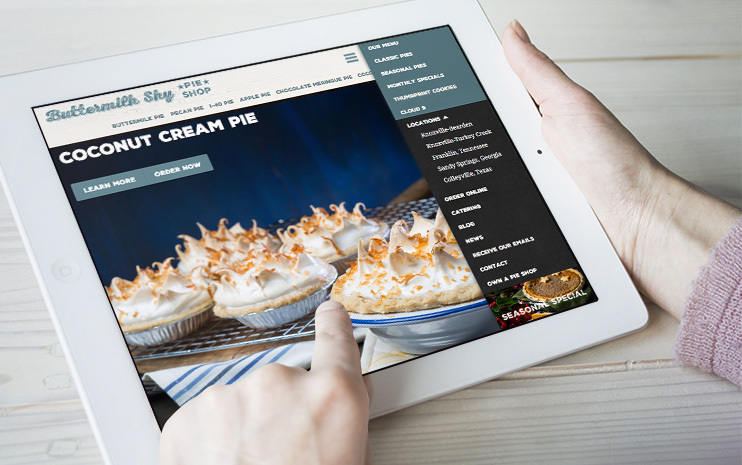 That's why we worked tirelessly to understand Buttermilk Sky Pie's target customer and its target franchisee, and then designed a website that set the company up for growth. Early in our discovery process with our client, it was clear that Buttermilk Sky Pies' branding success required a fanatical commitment to "the right" look and feel. Everything—from their color palette to typography, layout, photographs and tone of voice—had to be authentic to their "modern southern" direction. After many endless hours of meetings and research, we landed on a very subtle color palette that emphasized their classic "southern sky blue", and a typography family that combined a custom archival font with standard serif for body. Tweet: Your best potential franchise customers will visit your website before calling you. Ask yourself: Would you buy a franchise from a company with your website? The result is a brand identity that not only perfectly reflects their personality, but uniquely differentiates them from all of their competitors. With tireless help from our client and superstar shooter Matt Huesmann, we spent three full days (and nights) shooting every single product on their considerable menu, in a style that is truly eye-catching. The results speak for themselves! Buttermilk Sky Pie's target market would cover many generational identities—from young families to seniors. That's why the site's user interface is clean and simple, and always told the user exactly where they were, and how to get to the next place. The result is a site that feels rich and full, without being overwhelming. And, of course, you cannot miss those spectacular pies! Google tells us that around 70% of all web browsing is now done on mobile devices. 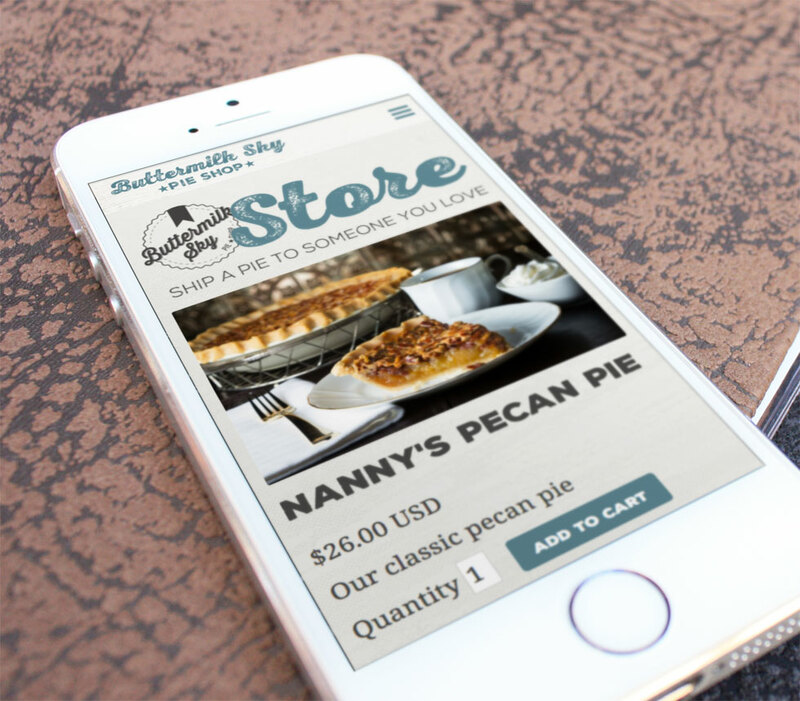 That's why we design websites from a "mobile first" standpoint, and that is certainly how we approached Buttermilk Sky Pies. We'll continue to closely monitor analytics to see how our client's growing customer base is surfing their site on a mobile phone, and tweak the experience. You can't have a great site without great content. As our creative team designed the site, our content team was digging up the content—from product descriptions, to custom local store info, to the client's blog. When the site finally launched, not only did it look great, it was also bursting with relevant and compelling product content that will ensure the site performs like a rock star in SEO. 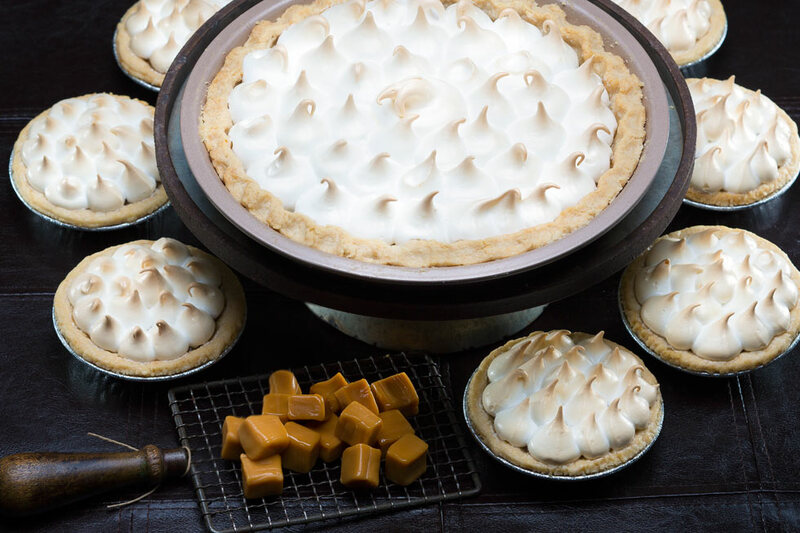 The Cooking Channel's "Sugar Showdown"
In November 2015, Buttermilk Sky Pies founders Meredith and Scott Layton competed on The Cooking Channel's "Sugar Showdown" television program. Given our experience with similar broadcast television events, we understood the potential impact of this sort of mass market exposure—especially for a brand that at this point is not known outside of a few markets. That's why we made sure their new website launched in time to take advantage of the first airing of their episode, and was well-optimized on the back end to get found via relevant search criterion. Oh, and now that we are no longer bound by the NDA, we can proudly announce...they won! Buttermilk Sky Pies started in Knoxville, but is quickly expanding nationally via the franchise model. The key aspect of their marketing plan was the reinvention of their web presence, which previously deterred—rather than inspired—potential new owners. While we have discussed building a franchise sales website, the fact of the matter is, the best potential franchise owners are the ones who will grasp their vision at their customer-facing website. That's why we openly solicit enquiries at various stages of the user experience at www.buttermilkskypie.com, including in main navigation, the footer, and on pages specifically dedicated to franchise sales. We specialize in helping franchises understand their unique marketing story, and bringing that story to the marketplace. If you are developing a brand and need a fresh perspective, drop us a line now! Just take 15 seconds to fill out this simple form and click Submit. We’ll contact you within the day to say hello and learn about your marketing needs. Or, if you want to chat right now, click on the pop-up box in the lower right hand corner of this window. From web design, online ordering, social, API integration, point of sale, contests, countdowns—fill in the blank, we helped Gigi and her team create the world's biggest, best and baddest online presence in the fast casual business.